Consulting Rooms: 2/242 Hawthorn Rd. Caulfield North. 3161. 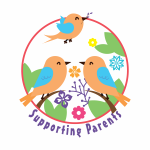 Please keep in mind that I am usually in with clients for much of the day and I am employed elsewhere on Wednesdays and cannot attend to SupportingParents. Unfortunately this means you will have to leave a message and I will get back to you. Be assured I have your message and will return it as soon as I can. Text messages and emails are preferred to voice messages. Email is the very best way to contact me. Postal Address: P.O. Box 158, Caulfield South. 3162.